In 2010 Pope Benedict XVI gave a conference at a General Audience on Saint Bridget of Sweden, because “this holy woman has much to teach the Church and the world.” A married woman, she reflected sanctity in her domestic life. Forming families is something that can truly make us holy. Pope Benedict XVI: “We can distinguished two periods in this Saint’s life. 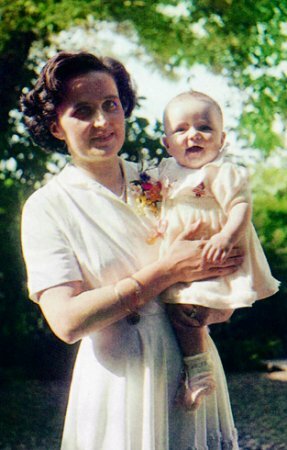 Today the Church celebrates the feast day of St. Gianna Beretta Molla, a 20th century wife, mother, and doctor who sacrificed her life for the sake of her unborn daughter. St. Gianna, pray for us! Read St. Gianna’s biography (on the Vatican website). A model of discernment: After earning her medical degree in 1949, St. Gianna actively discerned whether God was calling her to join two of her brothers in the mission fields of Brazil, or to marry Pietro Molla, an engineer and fellow member in the charitable group Catholic Action. Gianna sought God’s will in prayer and spiritual direction and eventually, during a pilgrimage to Lourdes on the feast of the Immaculate Conception, it became clear that her vocational call was to marriage and the family. Pietro and Gianna were engaged on Easter Sunday of 1955 and married that September. Saints Joachim and Anne are the father and mother of the Blessed Virgin Mary. Mary is the fruit of their marriage. By a singular grace of God in view of the merits of Jesus, she was preserved from all stain of Original Sin from the moment of her conception. Thus it is in the context of married life and conjugal love that Mary is prepared to receive the Divine Logos, the Word made flesh, Jesus Christ our Lord. Jesus is the Logos, the “Reason” at the heart of all reason and truth, including the truth of marriage. The marriage between Joachim and Anne is a significant witness to why marriage is “unique for a reason” (from the home page, emphasis added). St. Joachim and St. Anne provide for us an example of holiness (see CCC, no. 2030) and as a married couple, they provide in a particular way an example of holiness as a married couple. The portion of the mosaic featured at the top of the website brings out the beauty of marriage’s unity, depicted here as the intimate face-to-face encounter between husband and wife. And in the larger version of the mosaic found on the old USCCB defense of marriage site, the river that streams behind St. Joachim and St. Anne recalls their fruitfulness, the life-giving love that took form in their daughter Mary, the mother of our Redeemer. St. Joachim and St. Anne serve as inspiring models of a holy marriage and as the informal “patron saints” of the Marriage: Unique for a Reason initiative. We ask for their intercession in the defense of marriage prayer: Sts. Joachim and Anne, pray for us! Read about other married saints and blesseds throughout history. Today the Church honors St. Frances of Rome, an Italian married woman who lived an exemplary life as a wife and mother during difficult times of plague and war. She serves as a model for all married women who strive to integrate their devotion to God with their vocation as a wife and mother. Read the story of St. Frances of Rome in the Catholic Encyclopedia. Five out of her six children did not survive childhood. Two died during the plague of 1410. During a war between the Papal States and Naples, her surviving child, Battista, was taken hostage, and her husband suffered a serious stab wound. Also during this war, St. Frances’ husband’s ancestral palace burnt to the ground. Her son Battista married an arrogant woman who deliberately insulted and offended her mother-in-law. St. Frances eventually won her over through patience and humility. 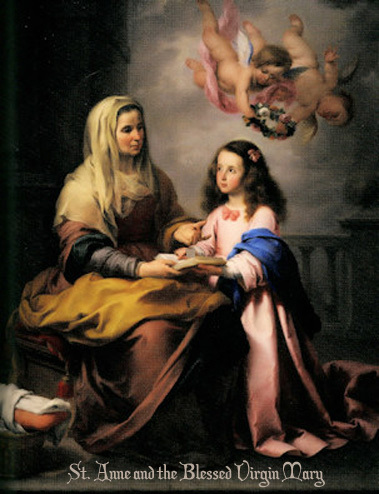 Despite her high birth, St. Frances dressed simply and modestly. She was known to travel the streets of Rome in shabby attire, collecting alms and firewood for the poor. Stories relate that St. Frances enjoyed mystical experiences, in which she would talk with Jesus, Mary, and her own guardian angel. In her later years, St. Frances formed a community of Roman women who cared for the poor, sick, and homeless of Rome. A church in the Roman Forum section of Rome is dedicated to St. Frances: Santa Francesca Romana. Relics of the saint are housed here. St. Frances of Rome, wife and mother, pray for us! An image of St. Philip Howard. In 1970, St. Philip Howard was named by Pope Paul VI one of the “Forty Martyrs of Wales and England.” Yet as with many martyrs, St. Philip’s early life was little indication of the supreme honor he would one day receive, dying for the sake of Christ. Philip Howard was born in 1557 in an England that was still reeling from King Henry VIII’s establishment of the Church of England. During Philip’s childhood, “Bloody” Queen Mary was on the throne, a Catholic ruler who rejected the Church of England. Accordingly, Philip was baptized as a Catholic by the archbishop of York. He later pursued his education at Cambridge. However, times were soon to change. Queen Elizabeth I succeeded Queen Mary, and the country once again became Protestant; more than that, Catholicism was strictly forbidden. As with so many Englishmen at the time, Philip’s father took the family with him back into the Church of England. Change was also happening in Philip’s home: his father remarried a woman with three daughters. At the young age of 14, St. Philip was given in marriage to one of these daughters, Anne; his other two brothers married the other two daughters. St. Philip’s early years as a husband were none too pious. Climbing the career ladder was forefront in his mind, while family and faith fell by the wayside. His young wife, Anne, stayed admirably devoted to her inattentive and often moody husband, even as he spent more and more time at the Queen’s court, seeking to build his prestige and affluence. And yet it was here at Court that the seeds were sown for Philip’s later years of discipleship. At the Queen’s court one day, Philip witnessed a theological debate between Anglican theologians and the Jesuit priest St. Edmund Campion. (St. Edmund would be martyred as a result of this dispute.) The words of St. Edmund took three years to penetrate Philip’s heart and mind, but when they did, he was solidly convinced of the truth of the Catholic faith. His conversion led him to devote more time to his wife and to prayer, and to generally amend his life. But it also caught the attention of the Queen who, recall, had outlawed Catholicism. After Philip wrote Her Majesty a letter – with feeling! – about his newfound faith, she had him thrown into the Tower of London. St. Philip Howard, husband and martyr, pray for those who are persecuted because of their faith in Jesus and their love of His Church. Give strength especially to those husbands and wives who are separated from each other under difficult circumstances. 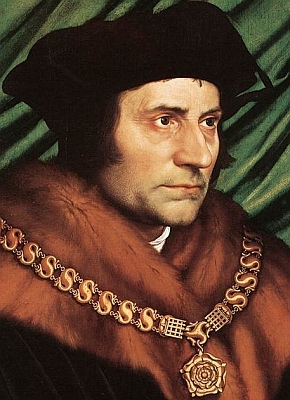 Pray in a particular way for the faithful of England, that they may stay rooted in the love of Christ. St. Philip Howard, pray for us! A holy card of Blessed Elizabeth. In Blessed Elizabeth Canori Mora, we have a stunning example of married love that endures “unto death,” even in the midst of profound suffering. Born into a wealthy Roman family in 1774, Elizabeth spent much of her childhood in the care of Augustinian nuns in the countryside of Cascia. In her happy years there, her love for Jesus blossomed, and many thought that she might have a religious vocation. However, in her teen years, Elizabeth developed tuberculosis and returned to her parents’ home to recuperate. Away from the convent, her desire for religious profession faded just as her interest in a certain young law student, Cristoforo Mora, grew. Discerning that God was calling her to the married state, Elizabeth exchanged marriage vows with Cristofero in 1796. The first few months of their married life were sweet and joyful. Cristoforo delighted in showing off his young, beautiful bride. However, his affections started to become overshadowed by jealousy, and he began to restrict Elizabeth’s correspondences, wanting to have his wife “all to himself.” Jealously eventually degenerated into disinterest, and disinterest into rejection, and so yet within a few short years, Cristoforo grew cold toward his wife, and began what would be a long chain of infidelities. A young mother now with two daughters, Elizabeth bore the cruelty and rejection of her husband bravely, offering all of her sufferings for his repentance and conversion. As Cristoforo spent his time philandering and squandering their resources, Elizabeth patiently struggled to make ends meet and ensure that their daughters, Marianna and Lucina, were properly cared for and educated. Even as friends and advisors urged Elizabeth to leave her unfaithful husband, she clung to the vows she had made and the grace of God that she trusted to sustain her. Drawing her strength from prayer, mass, and her devotion to the Holy Trinity, Elizabeth never ceased loving Cristoforo and praying for him. She encouraged her daughters to do the same, never permitting rancor or anger to be directed at her husband and their father. Faithful until the last, Elizabeth offered her dying words for her husband’s conversion. And finally, after witnessing his holy wife’s holy death, Cristoforo experienced profound remorse for the anguish he had caused his family. Repenting of his sins, he amended his life, and in a turn of events that was due in no small measure to his wife’s intercession, Cristoforo lived the remaining years of his life as a Franciscan priest. “For her part Elizabeth Canori Mora, amidst a great many marital difficulties, showed total fidelity to the commitment she had made in the sacrament of marriage, and to the responsibility stemming from it. Constant in prayer and in her heroic dedication to her family, she was able to rear her children as Christians and succeeded in converting her husband” (original source, in Italian). And during the recitation of the Regina Caeli on Elizabeth’s beatification day, the Holy Father pointed to Elizabeth as a reminder to all that “love is stern as death” (Song of Songs 8:6) (original source available in Italian or Spanish). A prayer: Blessed Elizabeth Canori Mora, we entrust to you all struggling marriages, and especially spouses who have been abandoned. May they know that their witness to marital fidelity is a treasure for the world and a sign of God’s never-failing love for his beloved children. Bring faithless spouses back to their families, and heal all of the wounds of sin and betrayal. Blessed Elizabeth, pray for us! **Note Bene: The heroic life of Blessed Elizabeth Canori Mora should not be taken as a suggestion of a course of action or a model for any given woman in a situation of domestic abuse, except in her perseverance in charity. In the time in which she lived, Blessed Elizabeth had little choice in terms of domestic arrangement, but she was able to cope with her suffering in an extraordinary way. The Bishops’ document “When I Call for Help” has advice for women today who experience domestic violence. Violence in a relationship is never healthy, as detailed at the For Your Marriage website, and thankfully women today can receive the help they deserve both for themselves and for their children to be safe.